Boereverneukers – Afrikaanse swendelaars, swierbolle en swerkaters (Farming con men – Afrikaans crooks, high rollers and scoundrels) Publisher: Penguin Random House South Africa, 2015. An extract from the book appeared in the newspaper Rapport on 6 August 2017, bringing it to public attention two years AFTER it was published! Izak du Plessis’s non-fiction dive into the fascinating if mortifying world of Afrikaans scoundrels, crooks and high rollers should also have been published in English. To those Afrikaans speakers who can read Boereverneukers – Afrikaanse swendelaars, swierbolle en swerkaters (there’s a mouthful!) it is undoubtedly a tasty treat of “Yellow Journalism” – though it has been thoroughly researched, and many of the facts are from serious, established newspapers, investigative journalists, court documents and so on. Why publish a book on a hundred years’ worth of these guys who all reminded me of the characters played by Steve Martin and Michael Caine in the 1988 film Dirty Rotten Scoundrels (in the banner, above)? The title explains it; a “boereverneuker” is someone, particularly a salesman, who cheats a farmer. The term is typically Afrikaans and these days refers to anyone who tries to do in an Afrikaner or someone who is Afrikaans-speaking. Who are the Afrikaners? Du Plessis does weigh in with a definition, but to get a proper academic, historical and genealogical explanation, you’d best read Hermann Giliomee’s classic tome, The Afrikaners. South Africa has had its fair share of boereverneukers, many of whom had spectacular success, even with the most outlandish schemes such as bringing people back from the dead and selling rotten milk. So these stories were just waiting for someone to turn it a book. And, having read it, let it never be said that the “nasie” (people) lack gumption and ingenuity, albeit wrongly applied! Why did these scoundrels succeed? I can add a few more reasons to that: In hard times, people will try anything that promises relief (and farming in South Africa is a particularly hard and tough living), even if there’s no free lunch. Secondly, there really is a sucker born every minute, and lastly, most of these con men were only after fame and money, they did not murder. Most, that is. Some were actually killers too. The book has been withdrawn from bookshops. Du Plessis said on 3 November 2017 on his Facebook page that some of the people he wrote about have started a class action suit against him. Whoo-hoo! I officially own a contentious book! Get your own while you still can! Who did Du Plessis include in this rogues’ gallery? David Francis, The Prophet of Hertzogville – A preacher who misled his followers by claiming he can raise the dead. Arno Smit, The Cattle Baron – He had many women but no actual cattle. He became internationally infamous for his cattle cons in the USA. A different case involving him and his cohorts is still in the courts in 2017. Perhaps because so many of these cases are still being fought in the courts, Du Plessis relied mostly on information already in the public domain, and did not include a single photo or illustration. (Though he did quote an email conversation with Adriaan Nieuwoudt.) Despite the lack of graphics, the book is highly entertaining and in places very funny. So here, for your delectation and edification, are the faces of a few of the Greatest Afrikaner Boereverneukers in a century, selected by the daring Izak Du Plessis. Isn’t it interesting how handsome and macho they looked? A Christmas portrait of Arno Smit and his American partner, Vonnie Cary. 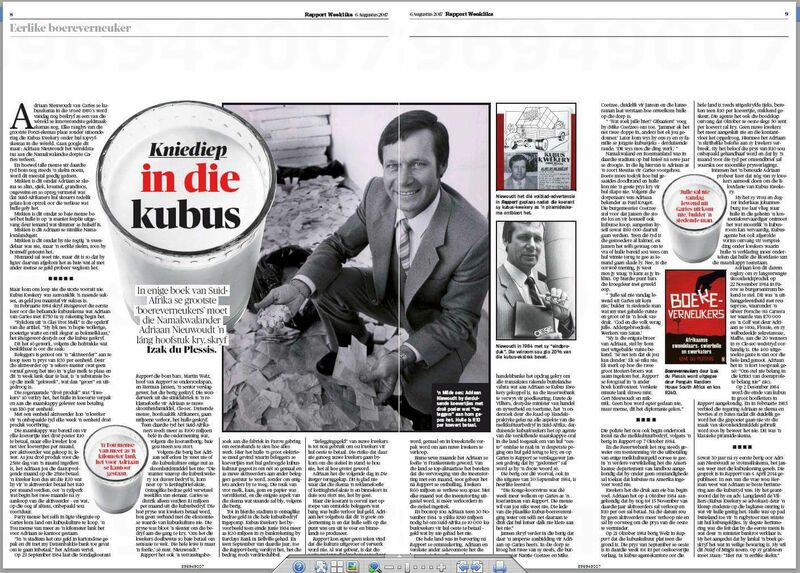 Adriaan Nieuwoudt, King of the “Kubusses” in his heyday. Gervan Lubbe’s former Facebook profile photograph. Paul Kruger, photographed as Commandant-General of the South African Republic, c. 1865. Captain Duquesne, Boer Army picture. George St. Leger Lennox (1845–1919) born into a noble Scottish family, popularly known as Scotty Smith.